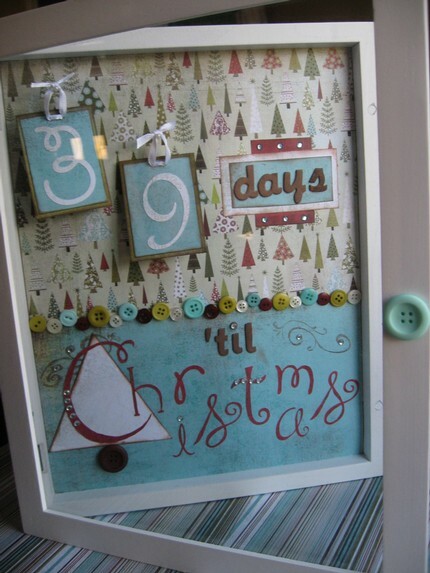 Tis the season. 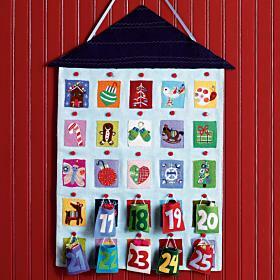 Growing up the Advent Calendar tradition was not one followed by my or my friend’s families. 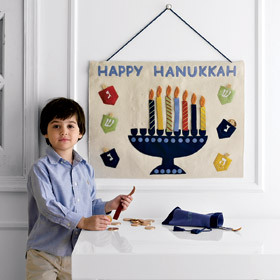 However, I am a sucker for traditions and now that my son is a preschooler, I am slowly integrating lots of them into our lives. 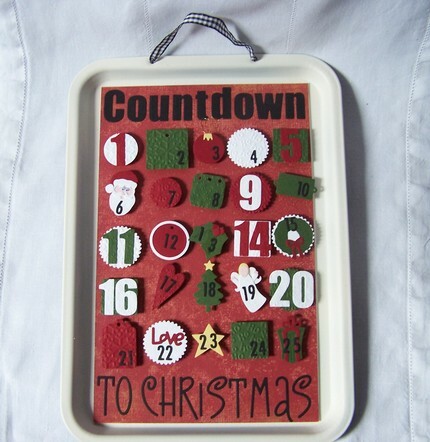 So what is the history of the Advent Calendar? Why, thank you Wikipedia. 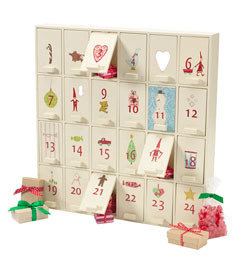 Advent Calendars are an investment and depending on your storage capacity, you need to decide between cloth advent calendars that can be easily rolled up or wooden box advent calendars that, duh, require more space. 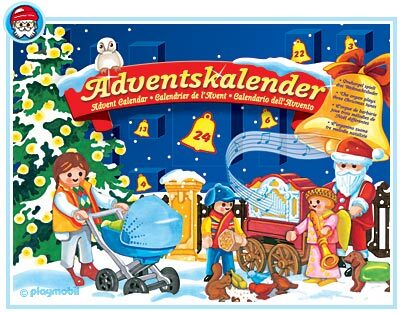 Golly, there are even play toy Advent Calendars. 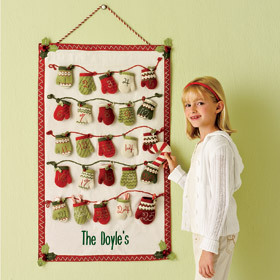 These all allow for a small gift to be inserted in the pockets or windows. 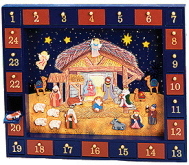 Then, there are the Magnetic Board Advent Calendars that allow for tradition, but without the commercialism of providing presents at all times (save for the nativity and Hanukkah calendars where manger items or candles, respectively, are included in the boxes or pockets). 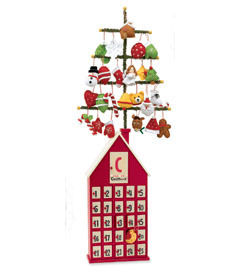 1 & 2) Advent Calendar Box $84 and Ornament Tree $98 from Chasing Fireflies, 3) Advent Box $69 from The Company Store, 4) Advent House $99 from Pottery Barn Kids, 5) Interactive Nativity Advent Calendar $80 at Little Wonderland, 6) Tree Advent Calendar $75 from Byer’s Choice. 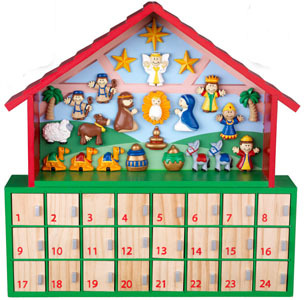 7) Nativity Advent Calendar $39.95 at Catholic Supply, 8) Divine Chocolate Nativity Advent Calendar $7.50 from A Greater Gift. 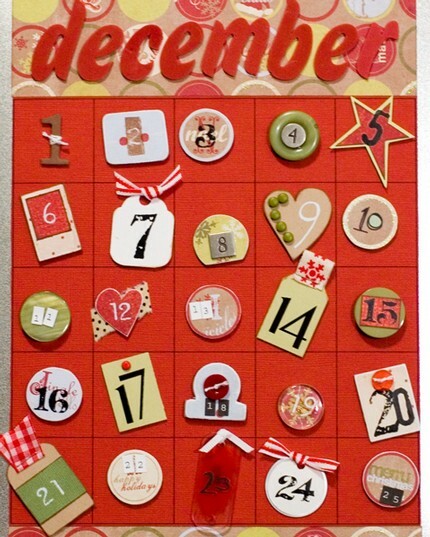 All Calendars available on Etsy. 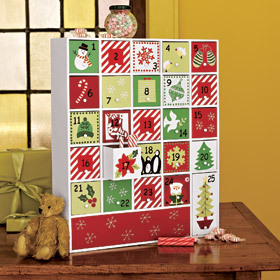 1) Snowman $15, 2) Magnetic Tray $25, 3) Cookie Sheet Calendar $28, 4) Shadow Box Calendar $31. 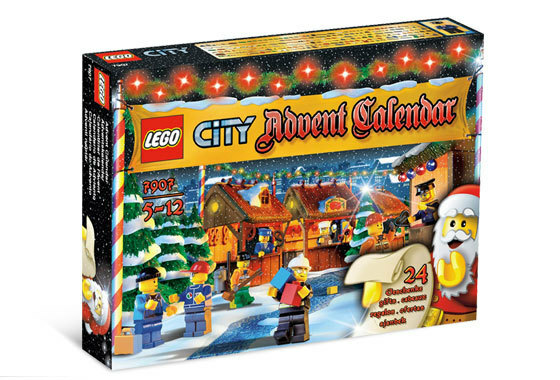 1) Lego Advent Calendar Toy $25, 2) Playmobil Advent Calendar Toy $17, 3) Sticker Nativity Advent Calendar $6.95 at The Printery House. 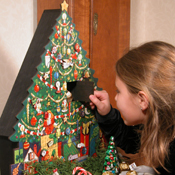 We always did the chocolate ones (from the store) growing up. 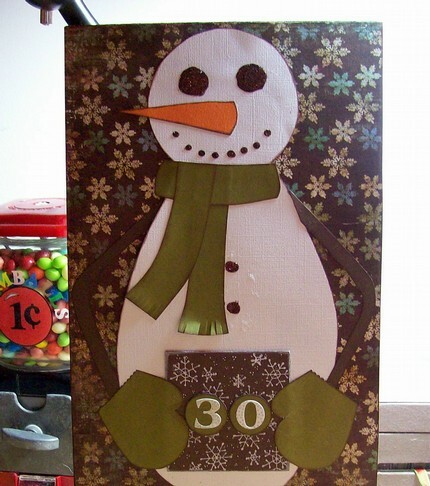 My Mom buys the same ones for my kids every year, but I’ve been thinking that I’d like to do one that is more “creative”. These are excellent and valid points. 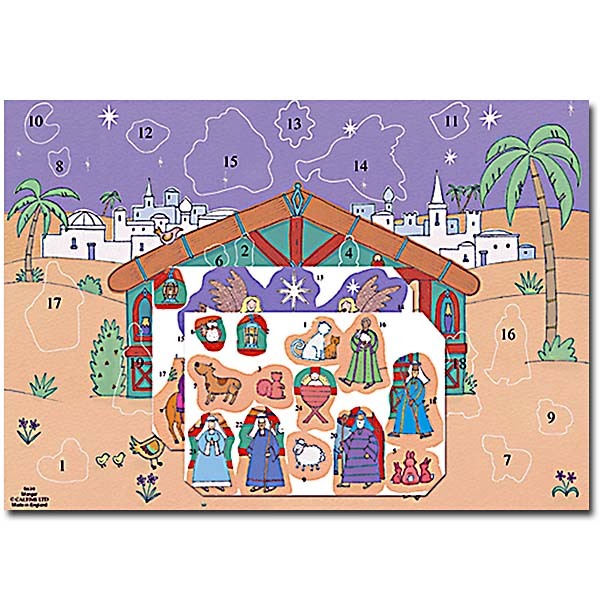 I have now included some nativity scene advent calendars. You go, Pnuts Mama! As a practicing Catholic, I totally agree and feel so relieved someone pointed all what you wrote out! 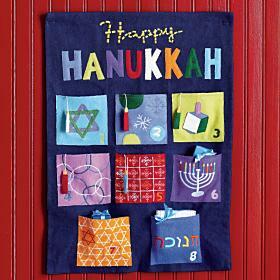 Blessings to you and everyone. Thanks for putting together the list, Isabel. 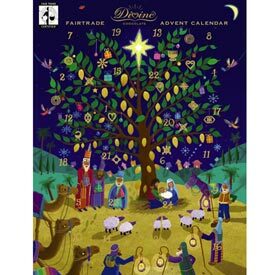 It is truly a complete resource with your thoughts and links provided! Great finds, everyone. 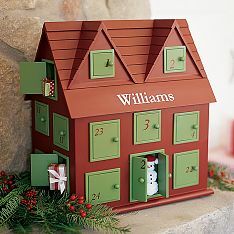 I especially love the Little Wonders box calendar!